Founded by Vincent Dupontreué in 2010, after three years of research and development, led by Jean-François Mojon of Chronode, Breva will launch their first watch — the Génie 01 — at Baselworld next month. Breva is named after ‘La Breva’ which is a warm southern wind contributing to the agreeably mild micro-climate around Lake Como. While enjoying a beautiful weekend on Lake Como, Dupontreué came up with the name and the idea of creating a mechanical timepiece that forecasts the weather. 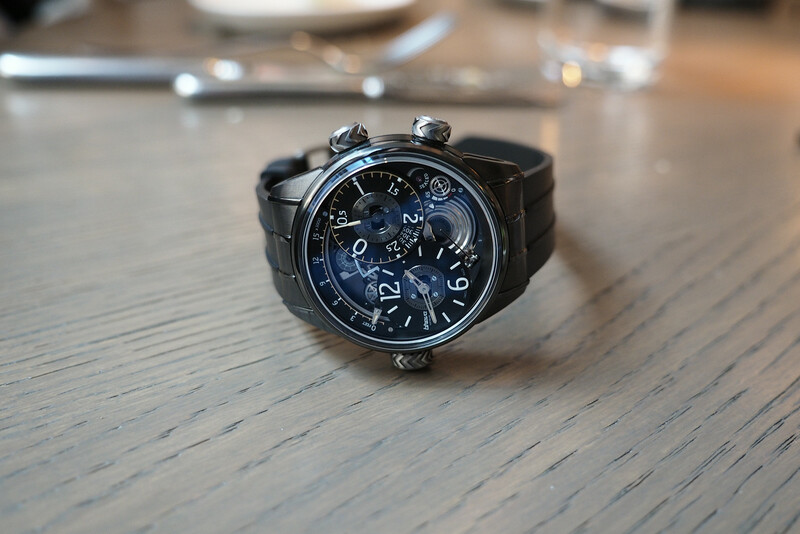 The Breva Génie 01 displays the time, altitude, power reserve and barometric pressure on the dial side. 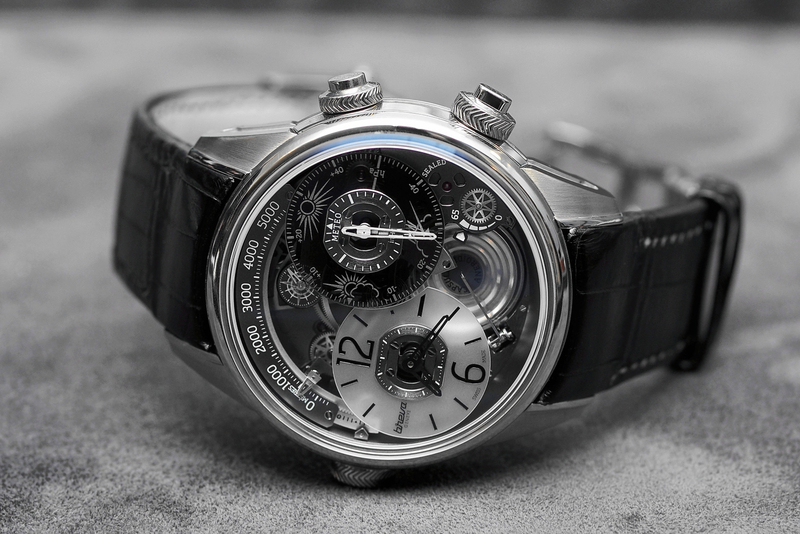 “Hours and minutes are displayed on a semi-transparent smoky-sapphire sub dial at 8 o’clock, with small seconds below 12 o’clock. A scale displaying altitude arcs around the top perimeter of the ‘dial’. Barometric pressure is indicated on a second semi-transparent smoky-sapphire sub dial at 2 o’clock, with icons providing scientifically based forecasts of likely weather conditions to come. 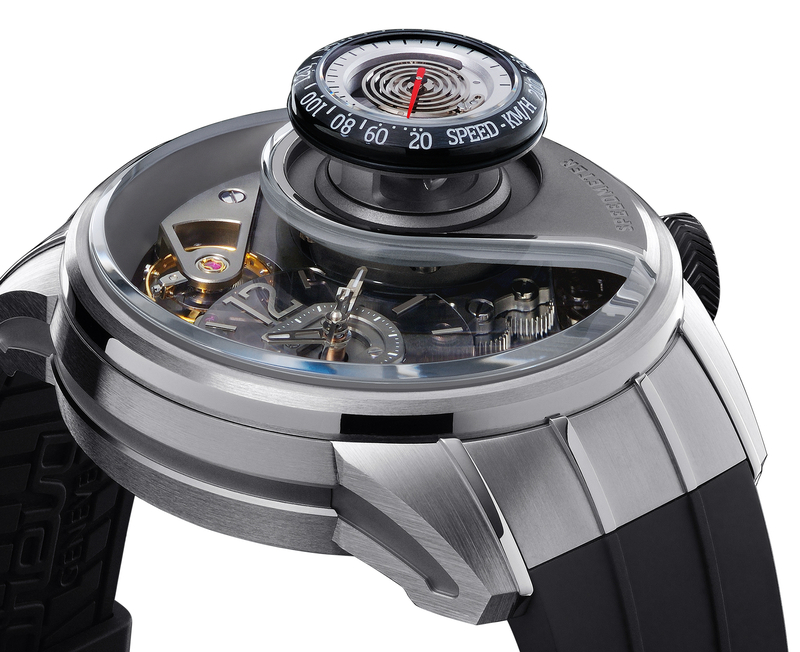 At 4 o’clock, a second crown on the right has a knurled locking ring that rotates 90° to lock/unlock an air valve. When unlocked, the valve opens and allows a small amount of air to equalize air pressure inside the case with the exterior air pressure. Longevity and reliability of the timepiece are maximized by means of an osmotic Teflon membrane that filters any moisture from any air before it enters the movement. Just above the crown, a red indicator on the dial marked ‘SEALED’ warns when the valve is unlocked. 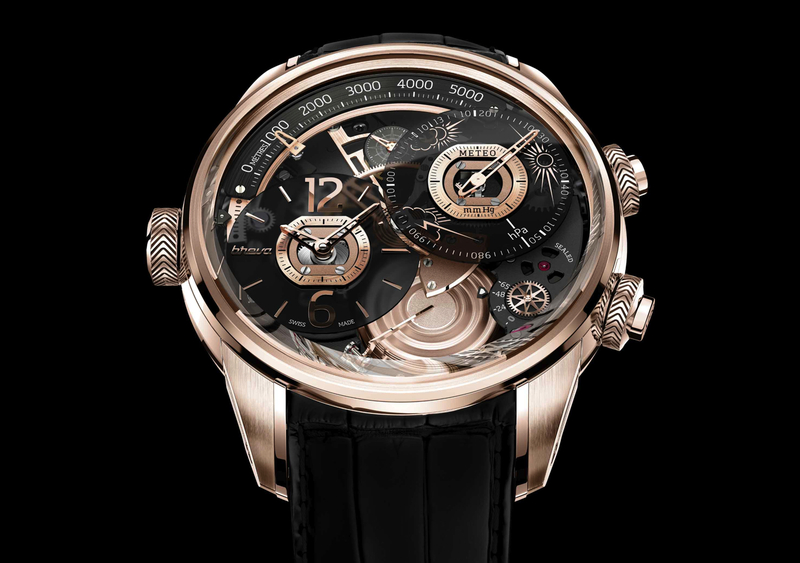 The Breva Génie 01 will be available in a limited edition of 110 pieces, half in white and half in pink gold.